Item Number:TBG03-BK Foam padded and thickened: the guitar bag is padded with foam and thickened, so as to reduce the damage of external hard objects to guitar because of neglect or accidence, thus having better protection to guitar. The lifting handle is also padded with foam, so that you will feel more comfortable in lifting. 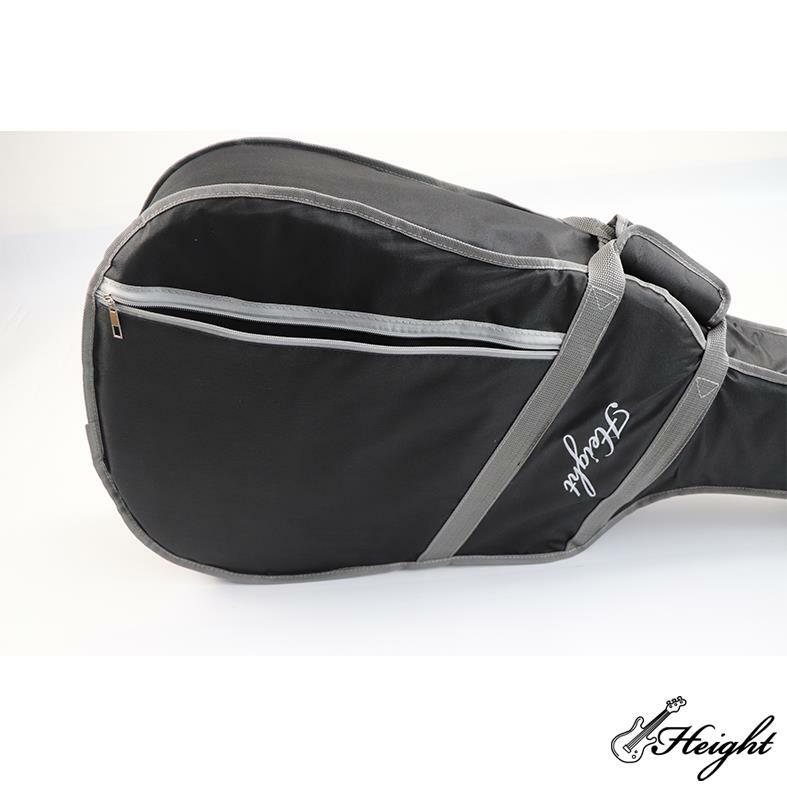 1.Foam padded and thickened: the guitar bag is padded with foam and thickened, so as to reduce the damage of external hard objects to guitar because of neglect or accidence, thus having better protection to guitar. The lifting handle is also padded with foam, so that you will feel more comfortable in lifting. 2. Adjustable and elegant foam-padded and thickened straps on two shoulders: it is thickened but air permeable, thus being comfortable in carrying. 1. What's your main products? Around 30 - 45days after received payment. The OEM samples in one week.